A Small Group is located in Suite 232 in Peaslee Neighborhood Center at 215 East 14th Street, Cincinnati, Ohio, 45202. Peaslee Neighborhood Center is located on the corner of East 14th and Sycamore Street. 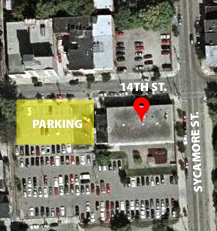 Free parking is available in the lot beside the building. Metered parking spaces are also available on surrounding streets. Exit at Reading Road. You want to stay in the far right lane. At the second light, turn right at East Liberty Street (There is a check cashing store on the corner.). At the first light, turn left at Sycamore Street. Turn left at East 14th Street. Exit at Western Avenue. Turn left at West Liberty. 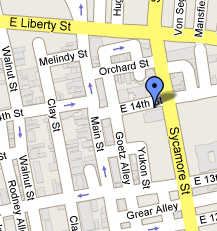 Go approximately one mile and turn right at Sycamore Street. Turn right at East 14th Street. Exit at Liberty Street. Merge at East Liberty Street. At the first light turn left at Sycamore Street. Turn left at East 14th Street.